For fast batch processing of cheques, prescriptions, payments, coupons and any other small-format documents. 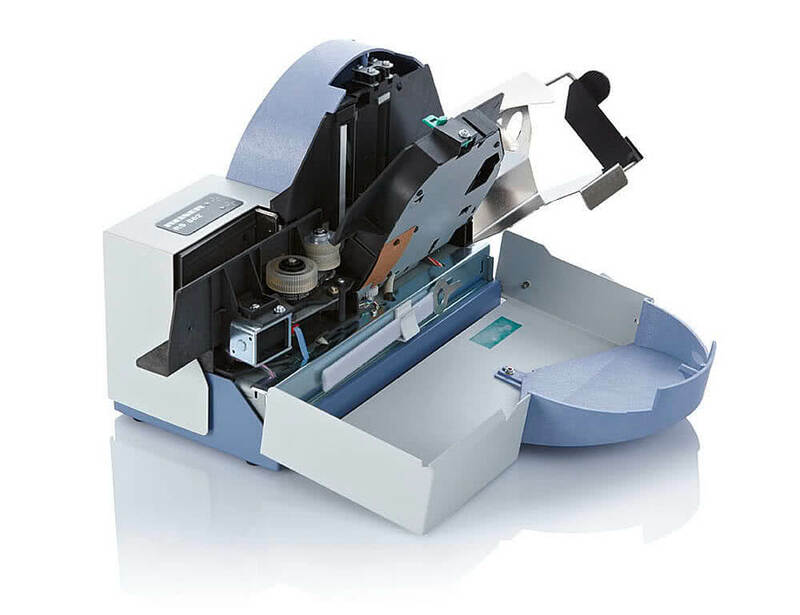 The RS 863 with its feeder for bundles of up to 50 documents, and the RS 864 for up to 150 documents, are the ideal scanners for character recognition systems. These devices combine speed and flexibility in an unusually compact design, for problem-free processing of up to 8000 documents per hour. The RS 863/864 scanners are equipped with front and rear colour cameras producing images in full colour, greyscale, and black-and-white. MICR codelines (CMC7 and E13B) are read with the MICR read-head and documents can be endorsed on the rear with the alphanumeric inkjet printer. Their straight-through document path, robust build and high-quality precision engineering assure a high level of operational reliability.